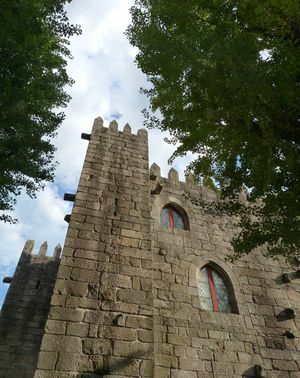 Know how the Episcopal Palace of Braga in Portugal. The Paço Episcopal da cidade de Braga (Episcopal Palace of Braga) is located opposite the cathedral. Also it is known as the Sé de Braga. This former palace was built in the 14th century and it was expanded during the 17th and 18th centuries. Currently, it keeps the offices of the university and a municipal library which has a computer room covered by a gilded ceiling with numerous carvings and paintings. It is important to contemplate the building and the tiles of the main staircase as well. You can contemplate the beautiful gardens of Santa Barbara if you go in the medieval norh way. There is a 17th century square with narrow roads. Also, there are a lot of flowers around the square and hedges with striking shapes. When the weather is good , the streets have a very good atmosphere with live music and full cafes. Monday to Friday from 9:00 to 12:30 and 14:00 to 19:30.